So here we have another racing game for the PC that has been ported over from the Playstation...So does it suffer from the constraints of the console? You'll have to read on to find out. The Criminal underworlds has accepted you as one of their own. You are the getaway driver for hire, speeding through the streets of real cities with working traffic systems, pedestrians and motorists on the street and cops on patrol. You are the best driver in the criminal community, you are the wheelman. Real cities-LA, New York, San Francisco and Miami-All with recognizable landmarks. Driver comes on just the single CD, which is a blessing these days. Installation is just as smooth as most games these days and Driver can be up and running within a matter of minutes. The game takes up around 165 MBs of hard-drive space on your PC. Once the game is installed you get the chance to select your graphic card settings via a configuration icon in the driver folder, I selected my G400 and ran the game in 1024x768 in 32-bit color. Once you load the game up, you are presented with a large number of options. Undercover: The main part of the game. High Scores: Read up on all of the highest scores. Options: Change Graphics, Sound or Controller settings. Take A Ride: Free drive options. Driving Games: Pursuit, Getaway, Cross-town Checkpoint, Trail Blazer, Survival, Dirt Track, Time Trial and Carnage games. Cheats: You can enter and use cheats from here. Training: Learn the car moves the easy way. Car Chases: View saved car chases. Film Director: Take control of cameras etc. Next up I went into the options area and setup the game for both my graphic and sound cards, I went with full detail as I felt the G400 could handle that. Driver's gameplay while being on the most part very impressive can be downright frustrating. The general gameplay consists of driving from point a to point b (although there are a few exceptions). For the first few games this is all well and good, but it does tend to bore you after a little while of playing. The frustration starts to appear from the very beginning (At least it did for me) In one mission you are asked to chase a car and try to out run and ram him down, but the AI was so hard that it was just too difficult. Driver is also missing any kind of Multiplayer options, which means the score does drop a bit even though I am mainly a single games player. The game isn't perfect but there is just something about driving around San Francisco that gets the pulse racing, from the cops slamming into you and each other to the smashing of cars on the street. Also something else worth a mention is that there are 35 missions in the game, so it has a long shelf life. The animation is excellent in driver, both the driving and damage models work very well. Crashes and maneuvers are also animated just as they should be in a racing game. The wheels and suspension work exactly how they do in real like, with each impact showing up via the damage models on the car. 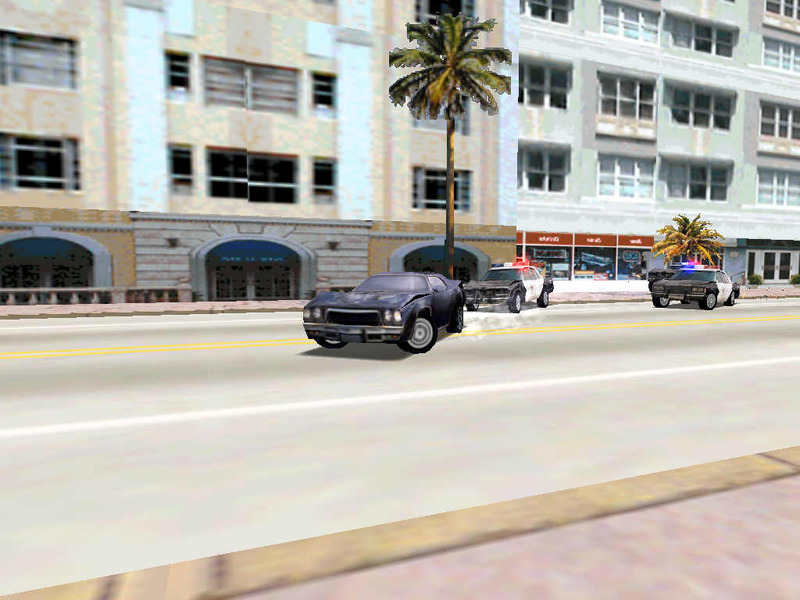 Driver also manages to maintain a very smooth frame rate throughout the cities. 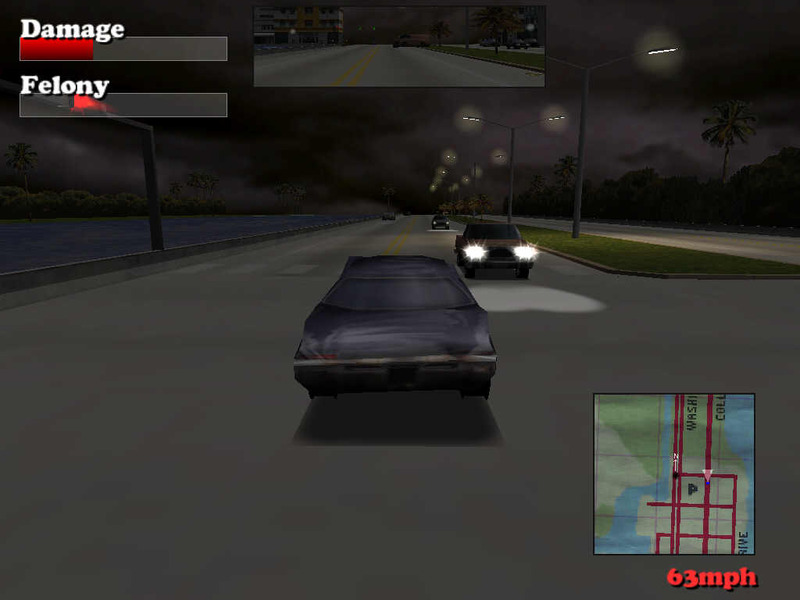 The game is also filled with vehicle lights that work at night, blurring effects and tire imprints on the roads and streets. There are a few graphical problems though - the main one being that the textures used for the city streets are quite bland. Texture problems are also apparent when driving around the streets having buildings or roads popping in and out of the picture. Sound wise Driver is again excellent, the crunching of the wheels and the screech of the tires is all well handled in the game. The only bad point is that the voice acting is very monotonous. The music is also suitable 70's.